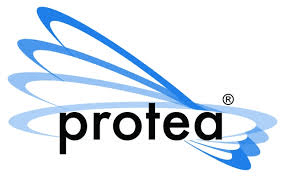 Protea Biosciences, based in Morgantown, has entered into a Collaborative Research Agreement with Virginia Commonwealth University and its Center for Molecular Imaging. The research focuses on the combination of LAESI, Protea’s ex vivo molecular imaging mass spectrometry technology platform, with VCU’s in vivo molecular PET, SPECT and MRI/MRS imaging capabilities, in hopes of developing new methods to better elucidate the molecular basis of cancer, Alzheimer’s and other human disease. LAESI (short for Laser Ablation Electrospray Ionization) was developed by Protea to rapidly generate imaging profiles of the biomolecules present in cells and tissue sections. The LAESI DP-1000 allows the direct identification of biomolecules in living cells and bacterial colonies, with analysis completed in seconds to minutes. Thus, molecular changes that occur in cells over time can be identified and tracked.